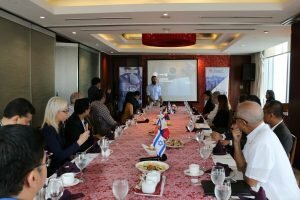 The Israel Chamber of Commerce of the Philippines (ICCP) gathered successful serial entrepreneurs from various industries for a breakfast meeting recently to discuss cross-border entrepreneurship. The breakfast guests are recognized players in the agriculture, technology, manufacturing, tourism, maritime, and energy industries, as well as the non-profit sector. 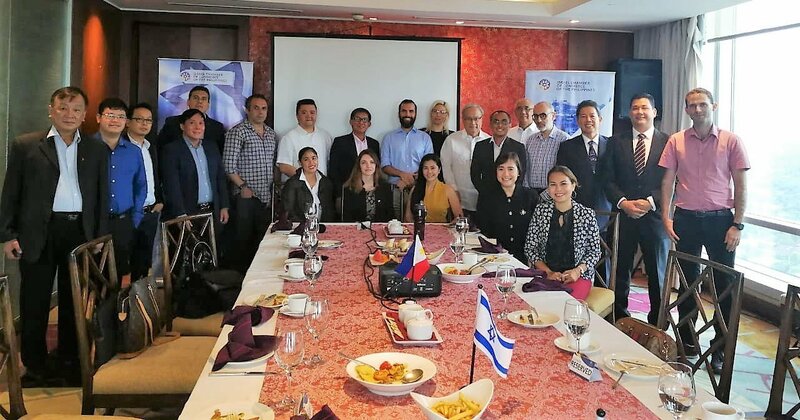 Joining them at breakfast was Yulia Spivakov, Deputy Chief of Mission of the Embassy of Israel in Manila, who discussed how Israel and the Philippines are cut out for cross-border entrepreneurship because of the similarity in their family values and a strong sense of community. Cross-border entrepreneurship refers to active businesses that move into another country to build or expand operations there. It may also refer to local companies that remain within their country of registration but create business partnerships with legal entities in other countries. According to ICCP Director Yuval Mann, CEO of Luxebrand Global, and one of the speakers during the breakfast meeting, overcoming challenges in a cross-border business setup is already a win on its own. Being a cross-border entrepreneur himself, Mann has first-hand experience. 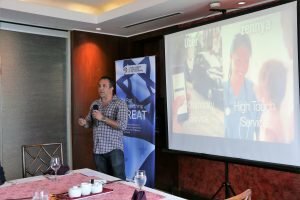 He shared some of the challenges of establishing a business in a new country and how to surpass them. Having no safety net. Being new in a place means one has no safety net, he said. Banks are often hesitant to give you credit. You have no friends, family, or connections to rely on; you are basically alone. But, he added, this situation drives you to become more independent and self-confident. “It allows us to fight better, knowing that there is no option for defeat,” he stated. Cultural gap. The second challenge is encountering a gap between your culture and the culture of the place. The languages and dialects are different, the manners and behavior are not something you are accustomed to. But these, too, can turn into an opportunity. He said it allows one to bring something new – a new product or service, or even a different management style, something in one’s own culture that can be beneficial to the new destination. Lack of experience. When one is just establishing a business in a new place, there are always players who are more experienced than you are. They would have done market research, formed connections, and built their regulatory and legal knowledge of the country. But a lack of experience can be a good thing, Mann said, especially if you bring in a new experience. In a new environment, you are not tied to the same methods. You are free to explore new things. It is the best time to bring in fresh ideas and do things differently, he said. Another resource speaker during the event was David Foote, the founder and CEO of Zennya. Zennya, an example of a cross-border business, is like an Uber for health services. The company was formed to address the slow service delivery of some health and wellness suppliers. Foote explained that when customers order a home massage, sometimes they can’t get through the numbers provided, or if they’re lucky to book one, they’d have to wait more than an hour for a therapist to arrive. Zennya is an on-demand health and wellness app downloadable through the App Store or Google Play. Through the app, one can book a health or wellness service, such as a massage, and the system will find a therapist nearest or most accessible to your place. Thus, there is no need to be on the waitlist of one provider as other Zennya-accredited therapists can fulfill the request. Zennya provides world-class service providers who use advanced technology to deliver quality, state-of-the-art in-home massage. 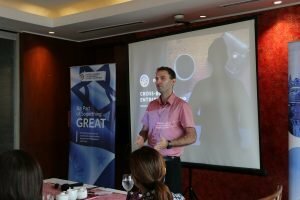 ICCP President Itamar Gero believes Israelis and Filipinos can excel in cross-border entrepreneurship; both are all over the world doing business with other countries now. “Whatever works in the Philippines or whatever Filipinos manufacture, they can export to other countries. Filipinos can bring something new to the world,” he said. He added that while the local export sector is still largely developing because banks are still in deficit, the Philippines has the raw material, and the people have the creativity and character to actualize a product. For their part, Gero said Israelis who leave their country to establish businesses and enterprises abroad possess the vision and innovativeness to make it big in the international scene.